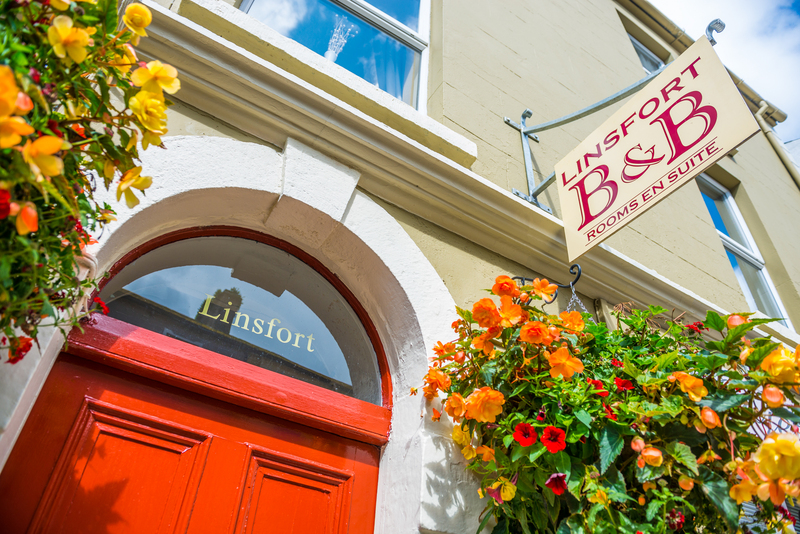 Linsfort is a delightful guesthouse in a period residence dating from the 1800s situated in the town centre of Boyle, Co Roscommon. Linsfort has been comprehensively renovated with each room decorated in it’s own individual style and colour. All our bedrooms are en-suite with king size beds, high pressure showers, 32” flat screen TV’s offering multi channel HD TV, hair dryers and complimentary tea and coffee. One bedroom also has a single bed in a small annexe off the main room, ideal for a child or extra adult. Please contact for pricing. The house also benefits from complimentary hi-speed WiFi throughout. Linsfort is a 100% smoke free house. A choice of breakfast is prepared using fresh, local and Irish produce. Linsfort Guesthouse is ideally situated for local attractions, being approximately 100 metres from King House, a few minutes walk to Boyle Abbey and just 5 km to Lough Key Forest and Activity Park. Boyle Railway Station is a convenient 5 minute walk away, while the Bus Eireann Expressway which connects with Dublin and Sligo is just a 2 minute walk. Ireland West Airport Knock is 35 minutes by car. Being in the heart of town, restaurants and bars are all within close walking distance, as well as shops and supermarkets. There is no charge for on street parking or car parks in Boyle.